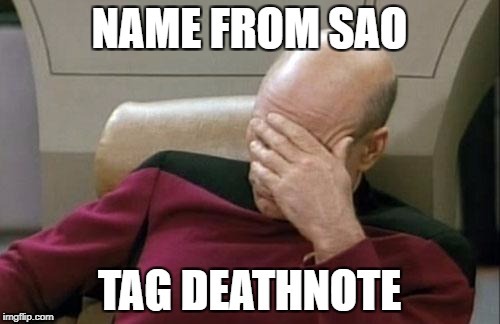 That feeling when you cant have your favorite characters name. dude, can't you see, "Light Yagami"? 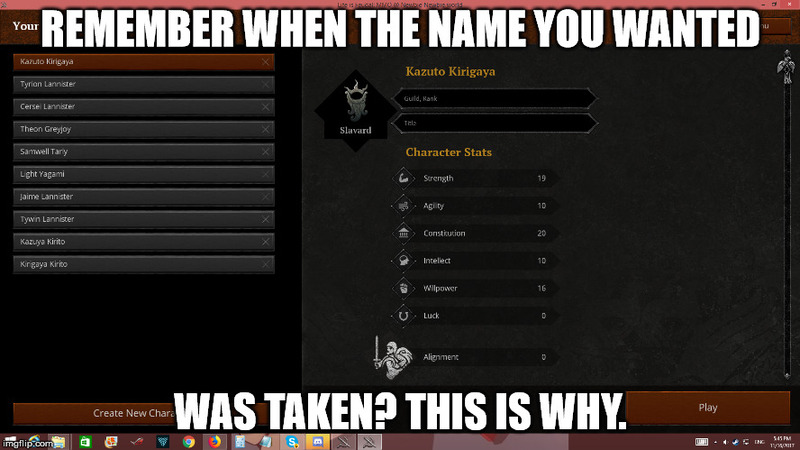 REMEMBER WHEN THE NAME YOU WANTED; WAS TAKEN? THIS IS WHY.